Stadiums such as Century Link (Clink) Field, the NFL home stadium of the Seattle Seahawks, are full of technologies that increase fan engagement that ultimately provide a competitive edge affecting the odds and point spread. 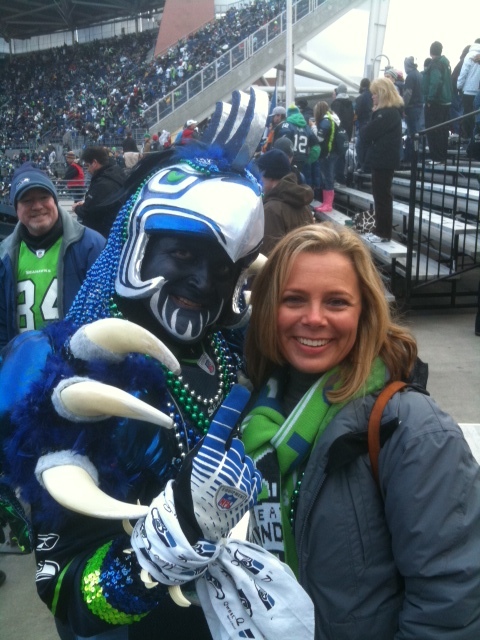 In regards to the Hawks, the 12s make up some of the loudest, loyalist and most passionate fans anywhere in the world. Because of the loss of the Sonics in the NBA, a MLB team in the Mariners that has never won the World Series combined with no NHL organization, you can begin to understand what the franchise means to the city, state and Pacific Northwest region. You can watch their next live, sold out Sunday Night Football game against the Indianapolis Colts broadcasting on NBC and streaming on the NBC Sports app on October 1, at 5:30 PM PDT. The Sports Techie community blog will have me in attendance as I am visiting my hometown for the first time in three years. Yes, I am jacked up on Mountain Dew so to speak for this truly special fan experience that been the cause of an earthquake. What kind of measurable competitive edge can the Clink provide for the Seahawks? Enough to influence the odds makers and sportsbooks while helping gamblers produce a win when betting against the spread and straight up. Seattle Seahawks, Century Link Field Plus 12s Are NFL Odds Game Changers – Sports Techie blog. If you like to wager, one only needs to analyze the nfl football odds for the game to understand what a lock this matchup is on paper. The only more for sure thing going on at the Clink is a political props bet whether Michael Bennett will take a knee (he will) continuing his unity protest during the National Anthem while it’s up in the air still whether his teammates will end their one game demonstration of staying in the locker room during the pre-game rendition as they did together with the Tennessee Titans last week. The facts are the Hawks very seldom lose twice in a row under Head Coach Pete Carroll. In the last 10 games after a loss, Seattle wins straight up 9 out of 10 times and comes in 7-3 versus the always shifting spread. The Seahawks began week four of the NFL season with the same record as the Colts, 1-2. The opening odds of the Hawks winning came in at -11.5 and currently sits at -13.0 or more. I believe the Hawks win by more than two touchdowns because when at home, with their back against the wall, in a must win scenario on National TV, they come to win and so does the 12th man. The bet on the games Total score has the favored Hawks and the underdog Colts at a 41.5 Under 105 meaning you bet $105 on the Under and it pays off $100 with the house taking the $5 juice for entertaining the wager. If you think this will be a defensive battle, here is your bet. I was lucky enough thanks to my longtime friend, Steve Caniglia, to attend some of the most epic wins in franchise history including the Beast Quake. 1. Beast Mode quake on January 8, 2011 during the 2010 NFC Wild Card Game versus the New Orleans Saints causing generated seismic energy with a magnitude 1 and 3. 2. Tony Romo fumble that cost the Dallas Cowboys a NFC Wildcard game playoff win in 2006. 3. The dismantling of the Carolina Panthers 34-14 in the 2005 NFC Championship game on the way to Super Bowl XL. Sports Techie, the forecast for Sunday’s game calls for rain and some wind, perfect Fall weather for a sport that is supposed to be played outdoors. The visiting Colts will have to deal with this climate change more that the local team. You better believe bookies know this too. One other consideration is fantasy football, a sports tech driven cultural phenomenon. I have nothing but love for the Hawks yet at the same time I also want my fantasy sports teams and players to perform any given Sunday, Thursday (TNF) or Monday night football (MNF) game. My dilemma is Colt’s WR TY Hilton because he is on the Sports Techie squad therefore I will silently root for him to score while loudly rooting on the Seahawks as is my civic duty as part of the 12s. Finally, in terms of the protests, I feel the message the NFL sent to Trump and fans that are against their first Amendment rights, will escalate this weekend. First during Friday night football in high schools across America. Then again during college football Saturday. Culminating in another Sunday of activism, the country and world has never seen before from sports. For the record, I will not be booing. 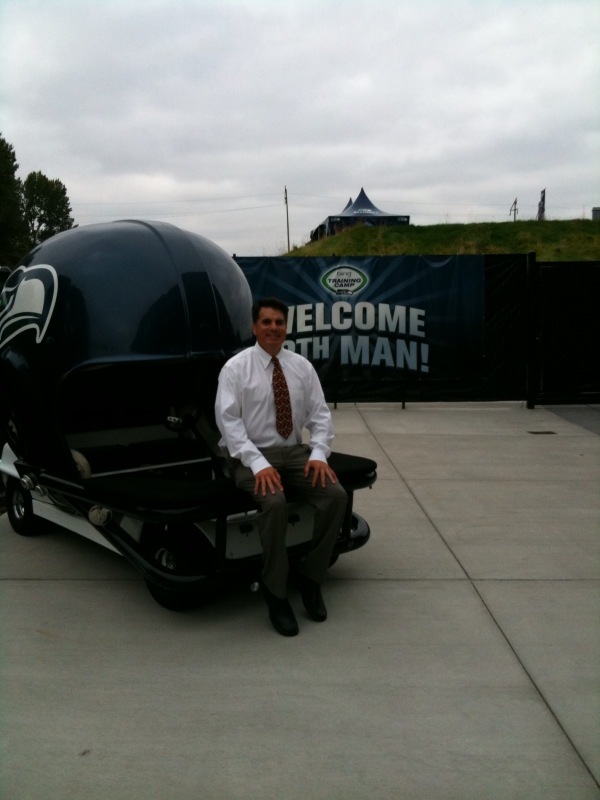 However, I’m more than ready to help produce another QuickShake measured Beast Quake on SNF come gameday.